With the update, Apple’s Screen Time features, which lets you set limits on how long you use certain apps, would be accessible from System Preferences on macOS. The feature is reported to work the same way on the Mac as it does on iOS — when you’ve reached your predetermined time limit, you’ll get a notification and the option to close the app. Another new iPhone feature introduced in 2018 at WWDC that Apple plans to bring to macOS: Siri Shortcuts. The result of Apple’s acquisition of the app Workflow, Siri Shortcuts allows more apps to work with Siri by letting you create voice-activated shortcuts for the ones you use most frequently. This would be an important update for a few reasons. Siri support would make Mac apps more useful, for one (9to5 also reports Apple is working on improvements to the desktop version of Siri). But it would also help iOS developers bring their apps to macOS. 9to5’s reporting comes on the heels of another report in Bloomberg, that Apple will soon let developers create apps that work on both iOS and macOS all at once. The effort, reportedly nicknamed “Marzipan,” has been in the works for years, with rumors going back to 2017. Apple previously confirmed that it has plans to bring iOS apps to Mac but hasn’t detailed many specifics. Now, it sounds like those plans are much farther along. With the recent uptick in rumors about Marzipan and other iOS features coming to the Mac, it certainly seems like it’s all due for an unveiling at WWDC in June. It’s a good weekend to grab a new piece of hardware. Check out all the awesome deals we found on laptops and tablets for this weekend below — do yourself a solid and grab one (or more). If Apple wants to hop on the 5G bandwagon in a timely fashion, it might need Qualcomm. Put simply, Qualcomm has resources that Apple and any other company Apple could hire to make 5G modems do not. Apple had intended to work with Intel on making a 5G iPhone until the legal settlement, but even then, Intel seemingly couldn’t compete with Qualcomm’s expertise and resources in the 5G space. Expect iPhones to join the high-speed future in the next year or two. “Qualcomm’s probably the only company on the planet that can get a 5G modem in an Apple phone by next year,” Northland Capital Markets analyst Gus Richard told Bloomberg. 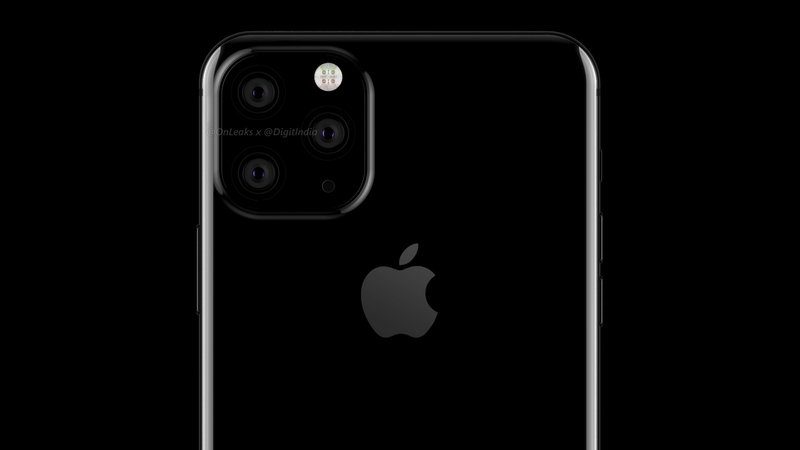 Indeed, the plan now is for Apple to release a 5G-capable iPhone in 2020 using Qualcomm technology, according to Bloomberg. But given the nature of Apple’s and Qualcomm’s partnership and the relatively short amount of time to get it done, it’s possible we won’t see a 5G iPhone next year. Moor Insights & Strategy president Patrick Moorhead said a 2020 release target for the 5G iPhone could be “tight” and he predicted a 2021 release instead. Though it wouldn’t hurt to get a 5G iPhone into consumers’ hands in 2020, a longer wait might not be the worst thing in the world. The ultra-fast wireless standard isn’t widely available across all carriers in the United States yet. Verizon launched its 5G network in Minneapolis and Chicago last week, while Sprint and T-Mobile have rollouts on the way, too. AT&T also launched a 5G network in 12 cities at the end of last year, with support for more markets coming this year. That said, one of the carrier’s 5G services is reportedly not much of an upgrade over regular 4G service. It could be a while before 5G fulfills its true potential with support in most markets and on most devices.